Former Eintracht Frankfurt forward Jan Age Fjörtoft has been impressed by the Bundesliga's strikers this season. Former Eintracht Frankfurt striker Jan Age Fjörtoft believes FC Bayern München striker Robert Lewandowski is the total package. Get your Official Fantasy Bundesliga squad in shape for the second half of the season NOW! 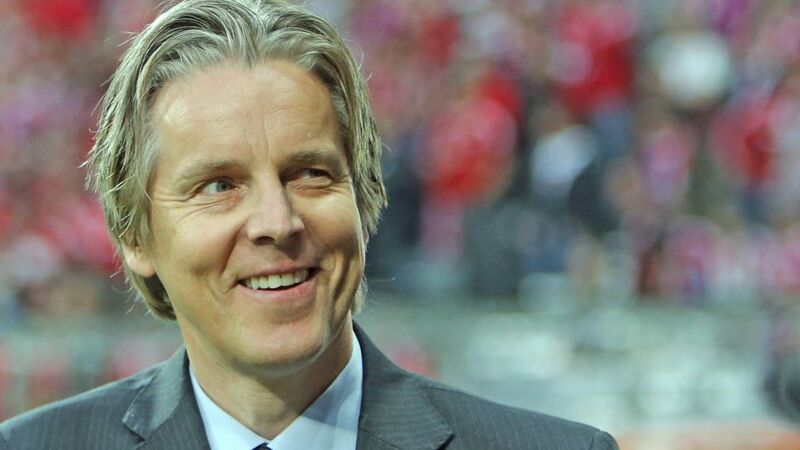 Between 1998 and 2001, Fjörtoft scored 14 goals in 52 games for the Eagles, and now the Norwegian is a European football analyst for television broadcasters across the continent. bundesliga.com caught up with Fjörtoft for his thoughts Germany's top flight and the strikers leading the scoring charts. bundesliga.com: We’re halfway through the season now and five strikers have reached double digits: Pierre-Emerick Aubameyang, Robert Lewandowski, Anthony Modeste, Sandro Wagner and Timo Werner. Are you surprised? bundesliga.com: The three currently leading the race for the Torjägerkanone are Aubamyeang (16 goals), Lewandowski (14) and Modeste (13). Who do you think will be top scorer? Fjörtoft: I don’t know Anthony Modeste well enough to judge him - I’ve still not seen him live in a stadium. The other two I’ve seen plenty, and for me Lewandowski is the best. When I was a little boy Marco van Basten was my role model. And Lewandowski is about as good as he is. That’s as big a compliment as I can pay a striker. I remember I started at Sky in 2011, the same year he came to Borussia Dortmund. At first he seemed allergic to scoring but I said, 'when he starts scoring goals, he’s going to be absolutely top.' I like it when a player is more than just a goalscorer, when his build-up play is good as well. He gets his goals and he creates them too - with his eye, his intelligence, his movement - he is the perfect number nine. I’ve interviewed him many times after Champions League matches and he’s a great guy, a great personality and ambassador for Bayern. bundesliga.com: At the moment he’s two goals behind Aubameyang. Fjörtoft: Yes. And Aubameyang is a very different kind of player. He’s like a cannon that explodes. He’s very strong and powerful. It’s remarkable to see how he uses his muscles when he runs. When he first came over from France, he also had trouble finishing chances. But now he’s getting 20 goals a season. He’s really developed at Dortmund. It’s a pleasure to watch him and we can only be happy to have players like him in the Bundesliga. bundesliga.com: Is Lewandowski the more complete player to you? Fjörtoft: I think so. He’s among the best there is, and he’s more involved in the game. Aubameyang is still a bit raw. He plays to his strengths very cleverly, and he’s got better with the ball. He’s still improving, which is great for Dortmund, but it also means he’s attracting a lot of attention from other clubs.